Multi Information Service deals with Tamil matrimonial portal service since 1998 and running successfully at Trichy,Tamilnadu. Later considering the requirement of the people we have started our branch at the temple city Kumbakonamin the year 2002. At present we have appointed our Franchisee all over Tamilnadu to meet out the needs of the people living in various regions of Tamilnadu. List of our Franchisee network. we have 1, 00,000 + Tamil matrimonial information's with Photos and Horoscopes to serve you people and by God’s grace many thousands of marriages have been heavenly made through us. With the support and rewards of you people multimatrimony.com has become one of the best Tamil Matrimonial service providers in Tamilnadu. An easy-to-use interface that combines Tamil tradition and technology multimatrimony.com is a meeting place for Tamil suitors from around the world. The portal promises a superior match-making experience with its excellent database, multi-media tools, online horoscope generator and add-ons like personal wedding site builder and blogs. We are committed to protect the privacy and security of our customers and you will find a host of security features that can be enabled by the member. The site also has exclusive editorial content that will help you plan a wedding and lead a successful married life. Please spend more time on the website to know us better. Check the FAQ page for a clear picture if you have doubts about using the site. Get in touch with us if you have any feedback or suggestions. Email: admin@multimatrimony.com Warm regards MIS Team. 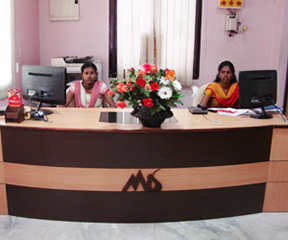 We have an excellent call centre to fullfil the needs of our customers. Through our call centre staff, we have frequent touch with our customers and frequently update the profiles so that, we can remove married profiles regularly. We inform our customers about the packages and the offers released for the festivals. We guide our customers to complete the registration made through our website and help them to choose the perfect life partner through our well designed match making software. Tags: Tamil matrimonial, Tamil matrimony, Tamil matrimony sites, Tamil matrimonial horoscope, Tamil matrimonial Chennai, Tamil matrimonial Attur , Tamil matrimonialCumbum, Tamil matrimonial Erode, Tamil matrimonial Karaikal, Tamil matrimonial Karur, Tamil matrimonial Kovilpatti, Tamil matrimonial Madurai, Tamil matrimonial Mayiladuthudai, Tamil matrimonial Palani, Tamil matrimonial Pattukottai, Tamil matrimonial Thanjavur, Tamil matrimonial Thiruverambur, Tamil matrimonial Tirunelvelli.